Ranked #6 in our countdown of the 100 Best Hotels and Resorts in the World. 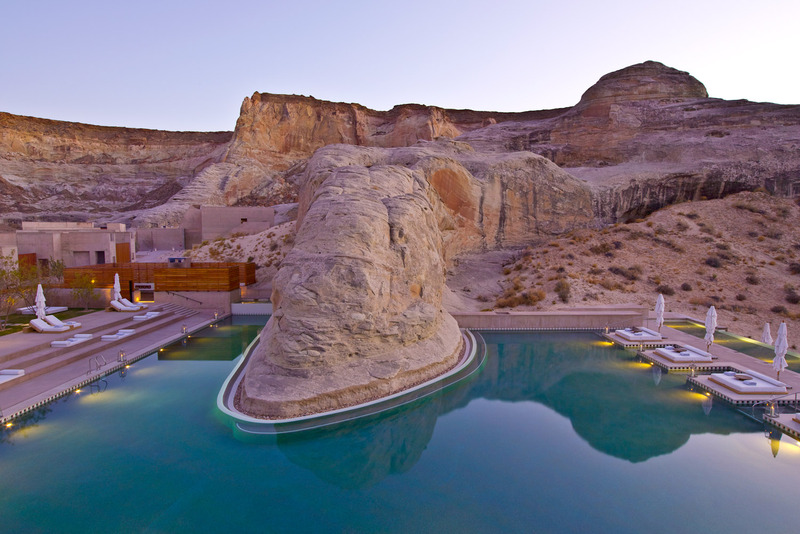 There is a surreal, otherworldly vibe to Amangiri resort. 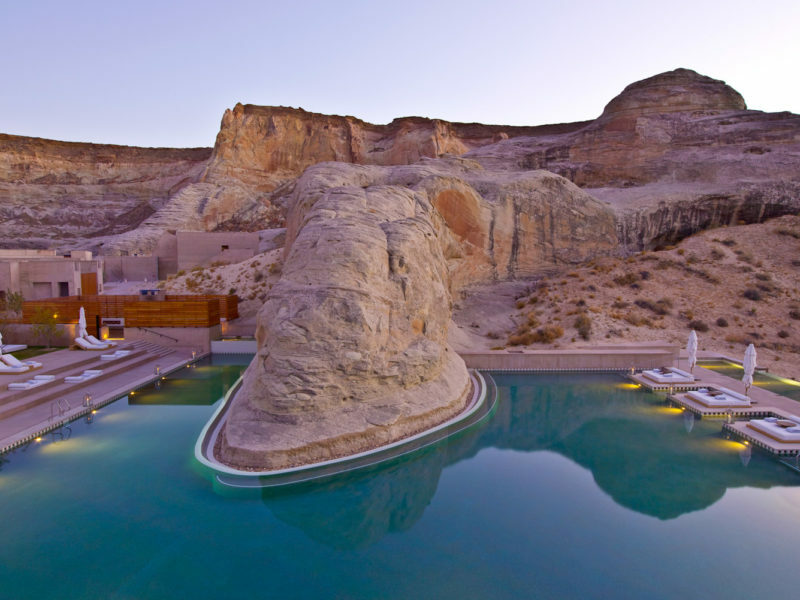 Secreted away at Canyon Point in southern Utah, everything here says isolation, exclusivity and the chance to appreciate the immensity and power of this remote and remarkable landscape – in consummate Aman comfort, of course. The über-restrained design leaves all the glory to the surrounds – craggy outcrops, canyons, plateaus, stratified rock, lofty bluffs and ever-changing colours stretch endlessly. An extensive spa menu reflects Navajo culture and healing traditions. Try colour and flotation therapy, yoga and pilates, or opt for something more active like hiking and horse riding in the pristine desert or boating on Lake Powell. Service is knowledgeable and intuitive. Hotels.com genuine guest review Location is one of the best in the world, with amazing views from every part of the property. Did you know Spa treatments are designed to restore ‘Hozho’, which in Navajo means ‘beauty, harmony, balance and health’.